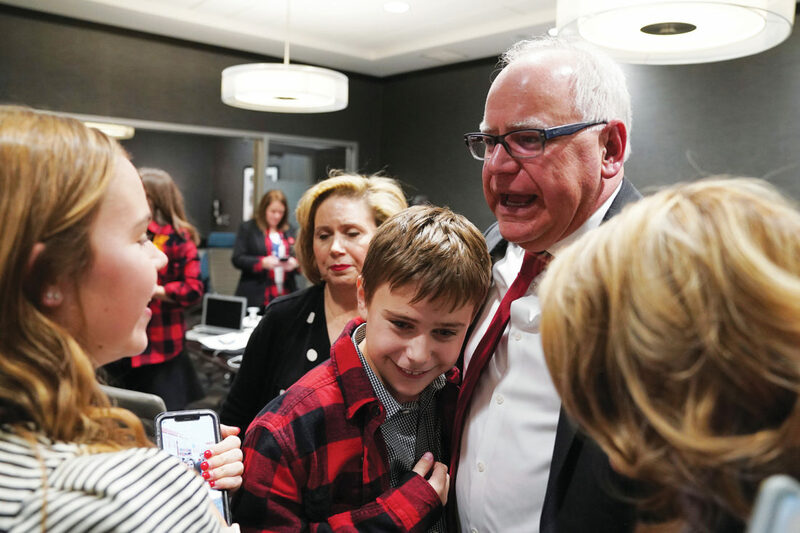 AP photo Democratic-Farmer-Labor gubernatorial candidate Tim Walz hugs his family after it was projected he’d win, at the Intercontinental Hotel in downtown St. Paul Tuesday. DFL members, candidates, officials, and supporters gathered for an election night party. 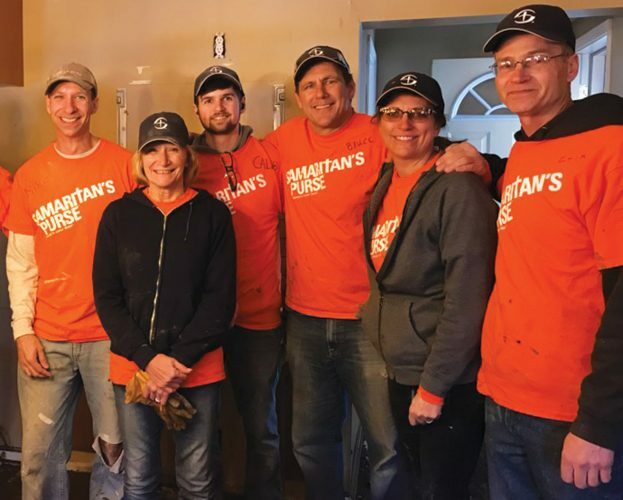 IVANHOE — Minnesota’s governor-elect Tim Walz had a little extra help from his local connections. Walz is the son-in-law of Val and Lynn Whipple of Ivanhoe. They along with their daughter, Gwen Whipple Walz, and their other daughters attended his victory party Tuesday night in St. Paul. Walz grew up in Butte, Neb. (population 326), located near the South Dakota border and the Missouri River. 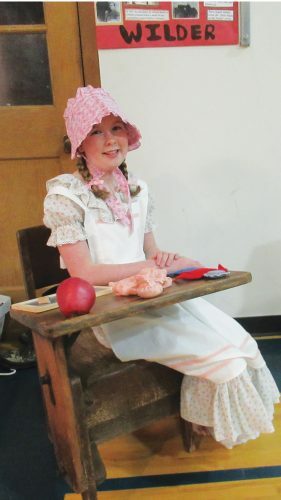 He and Lynn met as young teachers in Alliance, Neb., which is situated in the western part of the state near Scottsbluff. They moved from there to Mankato for the opportunity to get teaching jobs located in the same community. Walz decided to run for the U.S. House of Representatives in Minnesota’s 1st Congressional District. Val Whipple said it was an inspiration that deserved the support of himself and his family. Walz unseated Republican incumbent Gil Gutknecht of Rochester. He became only the second Democrat to represent Minnesota’s First District after Congressman Tim Penny. 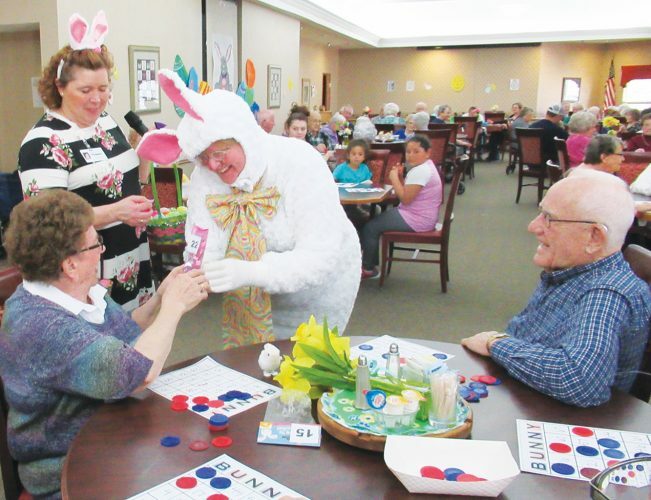 It originally was centered in southeastern Minnesota, and was the home of Congressman and Minnesota governor Al Quie who served one term as governor from 1979 to 1983. Walz went on to serve six two-year terms from 2007 to his current term, which expires in January. Whipple expects the success his son-in-law had in the Congress will carry over into his service at the governor’s Mansion in St. Paul. A Monday night 2018 election phone bank was organized for Walz at the Lyon County DFL campaign headquarters on East College Drive in Marshall. Guests for the phone bank included two recent DFL legislative candidates, Laurie Driessen of Canby and Ted Suss of Wabasso. Driessen, who ran against Republican incumbent Chris Swedzinski several years ago, said the Whipple family provided a valuable amount of region-wide support for the Walz campaign. Suss knows Val and Lynn from his days as the Lincoln HI school superintendent. Lincoln HI was the name for the former Hendricks and Ivanhoe school pairing. Hendricks is now working toward a charter school concept while Ivanhoe has entered into a high school tuitioning agreement to send high school students to Minneota. While Suss served as Lincoln HI superintendent before moving to become superintendent in Wabasso, Val was part of his Lincoln HI faculty as a physical education teacher and Lynn was the community education director for both districts involved in the Lincoln HI pairing.